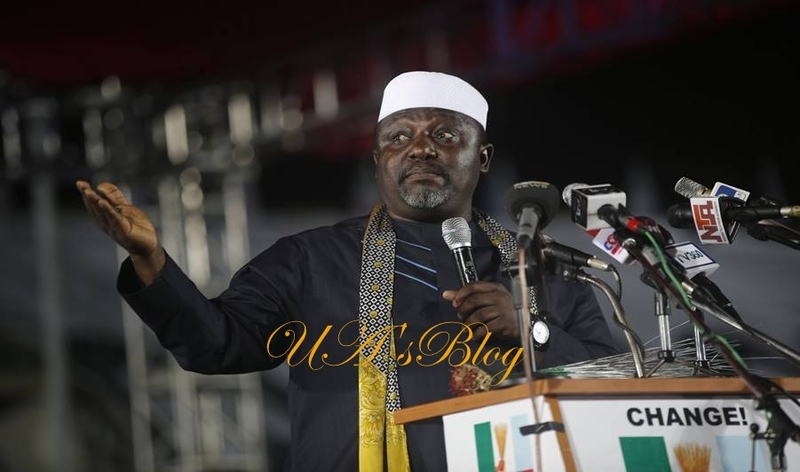 Following the recent killings of soldiers by Boko Haram insurgents in Borno State, the Imo State Governor, Rochas Okorocha has called on the Federal Government to declare Nigeria as a nation at war. Okorocha gave the call while saying it takes a serious war for a country to lose about 10 to 40 soldiers in an attack. He spoke when officers from the Armed Forces Command and Staff College, AFCSC, Jaji paid him a courtesy visit at the state’s Government House in Owerri, the state capital, yesterday. The governor compared the security situation in the North East to what was happening in Imo state when he first resumed as a governor. According to Okorocha, “A nation has to be in a serious war to lose 10 soldiers, not to talk about 40 soldiers. So Nigeria must declare itself as a nation at war. “What I think is happening in the North-East is what was happening here in Imo State when I came in 2011.